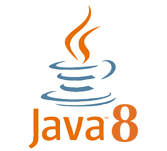 Java 8 is a revolutionary release of Java programming language. It includes a huge upgrade to Java programming model and a coordinated evolution of the JVM. This tutorial explains the basic to advanced features of Java 8 and their usage in a simple and intuitive way. This tutorial will help most of Java developers, starting from beginners to experts. A moderate level of expertise in Java 8 will be achieved. A basic knowledge of Java programming language is the only prerequisite for learning Java 8.